When I was an undergraduate, I’d ask my housemates who were studying engineering or medicine what they’d learned in their lectures that day. They’d say to me, ‘Chris you can’t be interested in that stuff, you’re an English student!’. If you’re like me and you have an in-built curiosity about everything, this will really help you get to grips with a vital next step on your post-academic career journey – getting to know your target sector. So if you’ve been following my previous posts, you’ll have identified two or three key areas of work outside of academia that interest you (see my post How to search for your ideal non-academic job). To go after jobs in these sectors you’ll need to learn the basics of each industry or line of business. This background will enable you to talk the same language as your interviewers – vital for showing that you’re a fellow professional who is switching careers from academia into their sector (remember that academia is just one sector in a very big economy). Fortunately, as a PhD you’re already an expert in researching and getting to know all about new areas of knowledge! In fact each time I’ve changed sectors in my working life so far, I’ve given myself a complete crash-course in that sector. 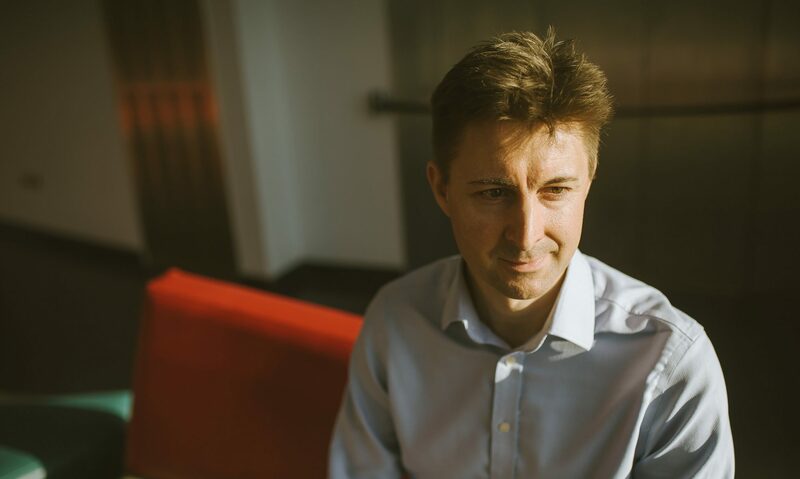 Training, transport, sustainability, engineering, technology, financial services – it’s been a case of getting my head down and learning as much as possible about relevant companies and how each sector works, in support of my applications and interviews. My PhD training has definitely helped me in this respect. The first time I did it, going from academia into e-learning, was the hardest, purely because I wasn’t familiar with how the private sector worked. As an ordinary consumer I knew a little about the companies behind typical retail brands, but in fact there is a whole other world of ‘business-to-business’ where companies provide products and services to one another, and to public sector organisations like councils and government departments. I found it mind-blowing at first, but it doesn’t take long before you can begin to understand how a sector works, who the main suppliers and customers are, and how it’s related to other sectors. As your knowledge develops, you’ll find yourself spotting opportunities for someone with your unique skills and experience. 1. Start with the websites of organisations in your chosen sector. By definition, organisations use their websites to present and organise information for their customers and users, and so even from a home page you can begin to glean all sorts of useful information. Take a look at the ‘About Us’ or ‘Who We Are’ pages first for each organisation. 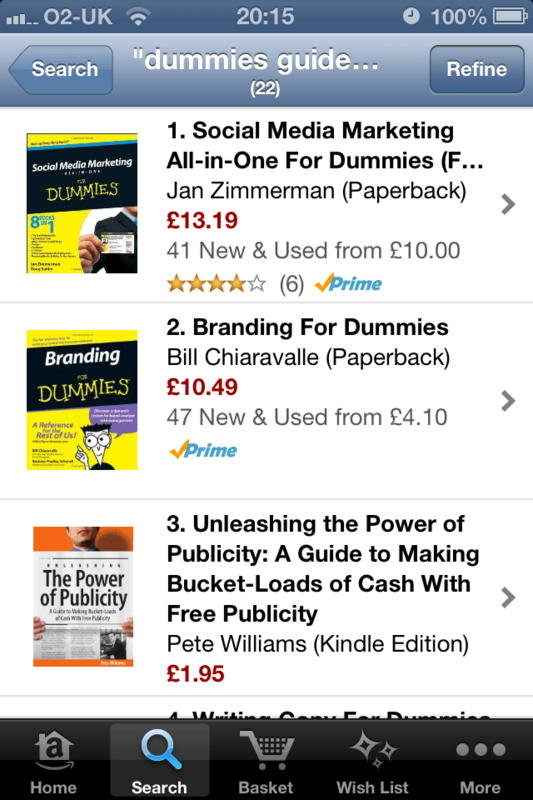 Then check out the pages on ‘Products and Services’ and ‘Our Clients’ next. In my opinion the best source of sector-specific information is a white paper or other kind of thought-piece that sets out a company’s view on the future development of that sector. Usually these are short, easy-to-read and the key points are highlighted for the reader. When I was looking to break into e-learning, I downloaded and read loads of white papers, as they gave me the best insights into the language and approaches used by the leading companies in that sector. 2. Read books, newspapers and magazines that cover your target sector. 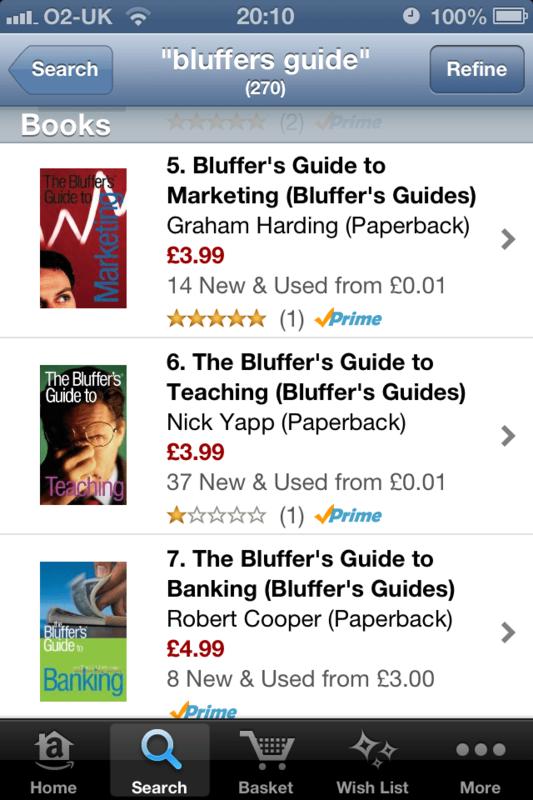 For many sectors you can buy introductory guides to learn the basics, such as Dummies, Bluffer’s or Idiot’s guides … don’t be put off by the titles! You can also comb the business section of a good newspaper for relevant stories, or buy a magazine that covers a specific industry. 3. Read blogs and listen to podcasts. Blogs are a fantastic source of insight into your chosen sector. While published hard copy material gives you a high-level public view, blogs are great for getting inside the mindset of your chosen sector. As they are personal, you can get a better sense of what day-to-day working life is like for a real employee. This can also help you decide if you really want to follow this line of work at all! Just search for ‘blog’+’your sector here’ in a search engine, or view a list of the top ten blogs for individual sectors at sites like blogs.com. You can also download free podcasts for your chosen sector. 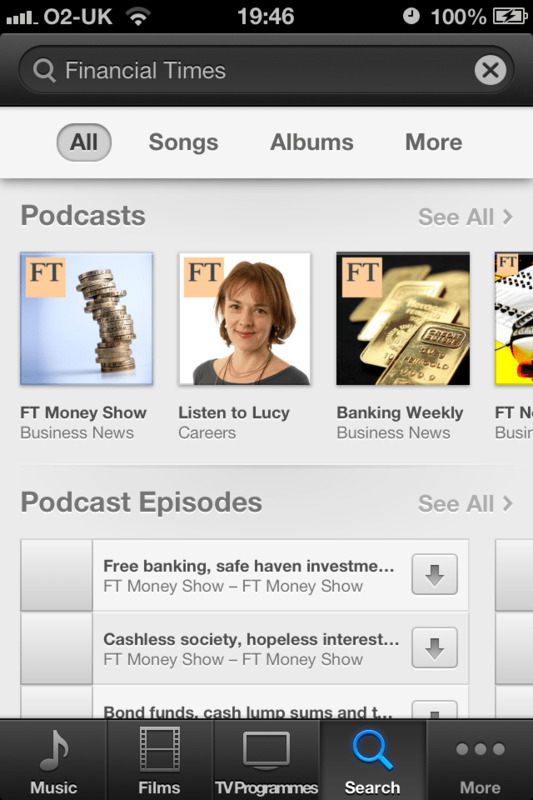 To take one example, financial services, the Financial Times publishes podcasts such as Banking Weekly and the FT Money Show on iTunes. 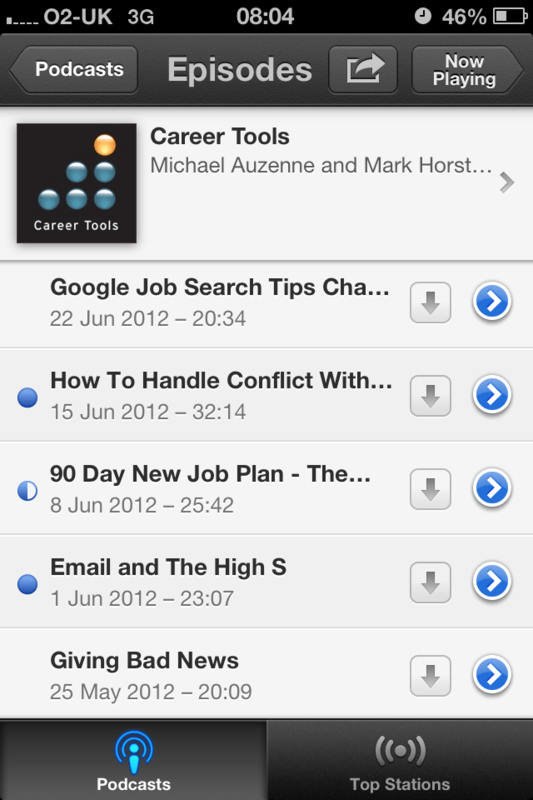 Use keywords from your chosen sector to search for and find relevant podcasts. Download a selection of podcasts and listen while you commute to learn about the latest issues and trends in that sector. I’ve personally listened to hundreds of hours of podcasts on management, personal development, project management, sales, entrepreneurship, transport and financial services, all for free! 4. Talk to people face-to-face. Through your network of friends and family, and your university careers service, get introduced to people who already work in your chosen industry or sector. Most people will gladly talk to you about their profession and answer your questions. Ask them about the latest trends, where the sector is going and what the problems are. They may even be able to introduce you to employers who have a vacancy! You can also try searching Google for meetings of professional groups in your local area that you can attend – the podcast Google Job Search Tips Chaper 2 from Career Tools explains exactly how to do this. 5. Talk online. The Internet gives you access to all kinds of industry groups and forums, which you can join for free. Spend some time reading posts and comments for a flavour of the current topics under discussion. You can join as yourself or anonymously. You can post comments and questions of your own, but try to avoid anything that makes you sound too naive (such as ‘I have a PhD in atmospheric science, how can I break into advertising?’). Remember at this stage you are gathering information, and you want to come across as a fellow professional who is interested in switching sectors. So you should be asking targeted questions that help you glean what you need to know. James Mulvey has a nice phrase to cover this part of your career journey: ‘you are on a research diet’. See page 42 onwards of How to Find a Career With Your Humanities Degree in 126 Days for more guidance on acquiring the knowledge required to support non-academic job applications. Read my note about Affiliate Links on the Jobs on Toast website.